The following are some of the terms you may not be familiar with in the soap/lotion making venue. Periodically they will show up throughout our site, especially in the Ingredients List. Colorant – An ingredient added to change the color of the soap. Some are natural, like micas or pigments, paprika, or peppermint leaves. Though I’m moving away from them, some are cosmetic grade dyes. You just can't get a decent red without them. Conditioner (Emollient) – A skin conditioning agent that helps maintain the smooth, soft appearance of skin, prevents water loss, and protects the skin. Essential Oils – These oils add fragrance and therapeutic properties to the skin. They are natural oils that come from plants. Fatty Essential Acids – These are necessary for skin and body health. They help nourish and heal the skin, and are supplied only from food sources as the body does not produce them. Fragrance Oils – These oils add fragrance and some aromatherapy properties to the products they’re used in. They are manufactured oils which could contain essential oils. They are all high quality fragrance oils. Humectants – Ingredients that attract and hold moisture to the skin, preventing water loss and drying of the skin, keeps skin moist and supple. Moisturizer – Ingredients that raise the moisture content of the skin. Superfat – This is when oil is added after the chemical process of saponification takes place. These oils remain intact to help moisturize and nourish the skin. Saponification – This is the chemical process that occurs when lye is mixed with oil to create soap. 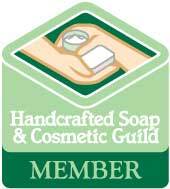 Unsaponifiables – During soap making, part of the oil will not turn into soap no matter how much lye is used. This leaves that part of the oil to moisturize and nourish the skin.